Today, I love being a woman- but I used to hate it. I used to hate the attention I attracted on the street because I felt unsafe and objectified. I used to hate my hips and broad shoulders, despising my feminine physique because I looked different than my teammates on the track team. I used to hate my menstrual cycle and the mood swings that came with it. I used to hate my feelings so I ran to prescription medication to manage my anxiety, depression, and anger. I used to hate dancing so I turned to alcohol for the courage to move and have fun. I used to hate being alone so I settled for ANYONE who would date me. The good news is, those self-deprecating cycles ended when I participated in a workshop that changed my perception of being a woman FOREVER. 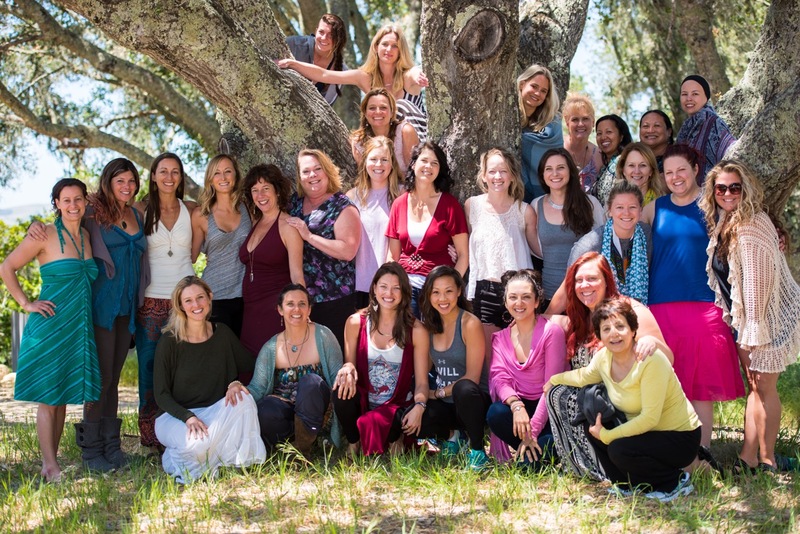 The workshop is Celebration of Woman, a 3.5 day retreat designed for women to remember who they really are. I participated in this workshop for the first time 4 years ago, making a vow to bring this work to other women so they can experience the similar healing and self acceptance. I’m now returning from leading this workshop for the 6th time, and I’m more awake than ever to the power of being a woman. Something so beautiful happens when “all is welcome” – when a woman is cheered for and celebrated through her own darkness and back into the light. Look at these gorgeous women below! The freedom to be seen. The freedom to speak up. The freedom to love her body as a temple. The freedom to sit in stillness. The freedom to be real. The freedom to believe in something bigger than herself. I feel moved to share this with you because I trust in my gut that you desire these freedoms as well. Do you desire to put the laptop away and give the woman behind the business the attention and love she deserves to let go? Are you longing to be seen and heard inside a safe and loving space to heal old stories and pains? Do you want to love your body exactly as it is now? Do you want to love yourself, and I mean..all of yourself? Do you want to claim back your joy after years of exhaustion and putting others first? A woman’s birthright is to love. When you have the space to release all the baggage that keeps you up at night, your essence of love is revealed. It’s a kind of self-love that you get to define for yourself at the workshop. Our workshops are filling up FAST, so if you want to to claim your spot in our September workshop, I invite you to set up a call with me. I want to get to know you and support your struggles as a woman. To every woman who came home to her TRUE self this weekend, thank you for your courage.. I love you.